Today I'm happy to have Katalin Kennedy, author of Reconnecting, on A Literary Vacation. 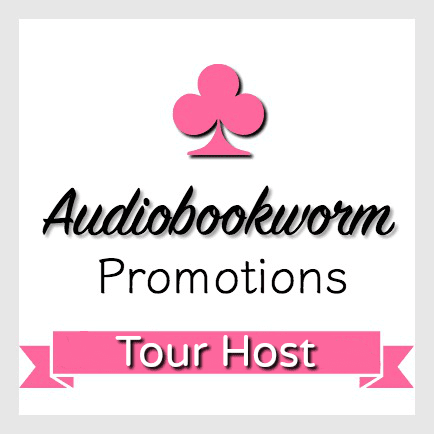 She's provided a wonderful guest post so please enjoy, and be sure to continue afterwards for more information on the novel, the author and how to enter the tour-wide giveaway! Thank you so much for giving me the opportunity to discuss my new novel on your web site: Literary Vacation. It’s such a challenge to choose an area for discussion that would be interesting to readers. In this instance, I am fascinated by the title of your web site “Literary Vacation” as I have heard from various readers that a good book is like a ‘vacation’. Others have said there are certain types of books one likes to read while on ‘vacation’. You have therefore become my inspiration to provide the following comments. When an idea occurs to me, which eventually becomes the base of the storyline, I don’t really consider to whom the novel will appeal. In fact, I’ve had difficulty to classify the genre of both my first novel “The Women Gather” and the current one “Reconnecting”. I have chosen to identify the first as Utopian Fiction and the second as Plausible Fiction, even though I don’t think these are ‘traditional’ terms used. Having said that, and going back to the premise of ‘vacation’, I do have a fair idea what readers consider to be ‘page turners’, particularly when they are in a holiday, getting away from it, state of mind. And that, I think can be summed up as Romance and Mystery. 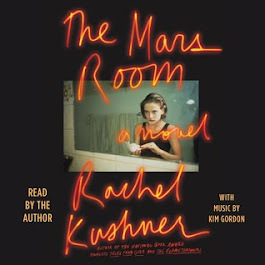 While “Reconnecting” was not conceived to fall into those specific categories, I have been told that it is a satisfying novel, including from that standpoint. The storyline is of four friends who had made a pact: “When we get to be older women, we’ll find a place to live together.” Their lives reconnect when Marlie, Kendra, Vanessa (Nessa) and Iris move into a Condo Complex in 2012 Ottawa. We learn about their beliefs, their fears, their hopes, their secrets and their loves. In as much as the storyline is mainly about relationships and coming to terms with hidden factors in their lives which need to surface, I was adamant to portray the view of ‘aging’ from a positive perspective. I wanted to make it clear, that just because they are ‘older women’ it does not mean that they have become non-sexual human beings as pointed out on page 15 of “Reconnecting”. “Well she was over thirty when she married Owen. Surely you didn’t think she was celibate before that?” Iris sounded a tad chiding. If one was seeking an intimate relationship, how was a woman of sixty-something supposed to find a companion these days? Nessa knew the rules when she was younger. They all did. They had networks through extended friendships as well as professional and community associations. Back then, it was nothing for a group of women to go out for an evening to some lounge. Sometimes a charming man would buy a drink or two. She had reunited with Owen by happenstance, before the dating scene became an obstacle. She no longer had any idea how single women met potential partners. When Nessa was teaching at a community college, there were always students her own age. Discreet relationships were a possibility. That was a while back. Marlie was aware that opportunities were now quite limited. and the Rev. Dr. Robert St. George ‒ pragmatic yet the comforting spiritual consoler. My intent had been simply to use these characters as foils (to the female characters) without giving them any significant dimension. But as it happily and often occurs, the male characters gradually began to develop into full fledged individuals. That is, they started to take on a life of their own. It was like they yelled at me: “Hey Author! How are you going to talk about love, if you only convey the perspective of the women?” And so I listened, letting them meander for a while, weaving in their own experiences and desires. Their relationship and interaction with the women give a pleasing ease to the storyline. Their other raisons d’être is that they become part of the intrigue and the mystery conveyed in the novel. And now about the Mystery aspect of “Reconnecting”. As I indicated earlier, I don’t follow a specific genre, when writing a novel. I am certainly not a mystery novel writer, in the classical sense. I had intended “Reconnecting” to demonstrate the importance of relationships among women. 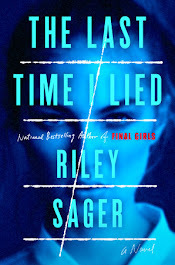 At the same time, I felt that some unresolved matter needed to be introduced into the storyline, as a means to further interest the reader. I used various aspects of the mystery technique in “The Women Gather” and will likely continue to do so in my next novel. The “Reconnecting” storyline, however, is not a simplistic ‘who done it’ exercise. As it happens, there are various unsolved issues that roam throughout the novel; some more obvious than others. We hear hints about them: What is Kendra’s underlying negativity about religious discussions? What drives Vanessa to portray herself as the scattered artistic diva persona? Why does Iris seem to need a secret relationship with Marlie’s daughter Amanda? And what are Marlie’s mystical dreams all about? In addition, however, to these various intrigues which are intricate aspects of the storyline, there is one main mystery which requires resolution. It is part of Marlie’s story but will also pull in some of the other characters. To find that out, you need to read the novel. I hope that “Reconnecting” will be an enjoyable read for most people. I employed dialogue as a technique but also character reflection. I wanted there to be an immediacy for the reader, which I think is also achieved through the means of weekly dinner conversations. It is through these approaches that we can sit with the women and at times listen-in on their personal thoughts. Do they resemble us, or our friends? Have we experienced similar situations? What secrets do they hoard? What significant learnings and messages do they leave us with, which we can contemplate? I have come to feel that Marlie, Kendra, Vanessa and Iris are no longer characters in a novel, but my friends, who have jumped off the pages and become part of my familiarity. I hope that the readers will acquire a similar revelation upon reading “Reconnecting” and relate to my novel as a ‘vacation’ for their soul. 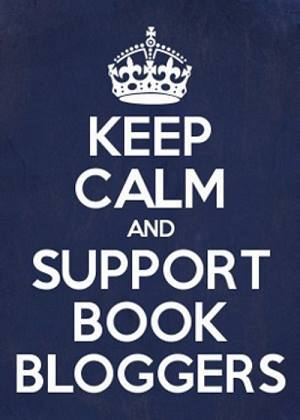 I am grateful that there are people like you who feature novels on your web site. 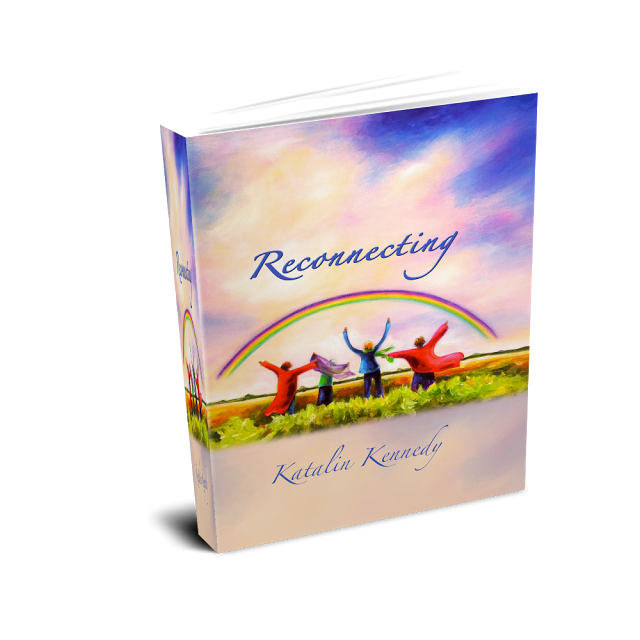 Thank you again, for accepting to host my novel “Reconnecting”. Katalin (Andras) Kennedy escaped from Hungary with her parents on Christmas Eve 1956. She married Duncan Scott Kennedy in 1972 and graduated from Carleton University. In the latter part of her career, she managed major national projects with Health Canada’s Family Violence Prevention Program, until her retirement. Her beloved soul mate, the Rev. D. S. Kennedy passed away in 2006. 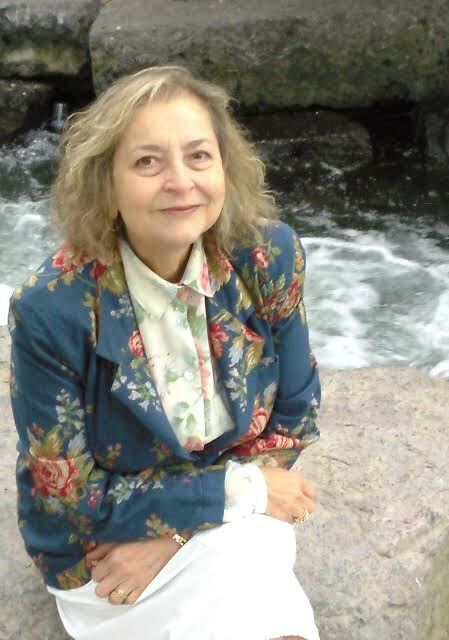 She now resides in Cornwall, Ontario and continues her involvement in various organizations: Canadian Federation of University Women, Probus Club of Cornwall and Area, Encore Seniors’ Education Program and the Cornwall and Regional Writers’ Society. For ten years she was a monthly columnist for Seaway News. 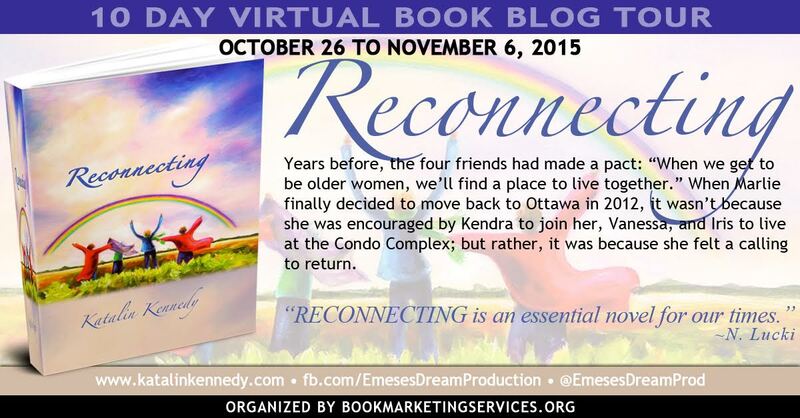 And in 2012, Kennedy launched her first novel “The Women Gather”. You can learn more about author Katalin Kennedy on her website and connect with her on Facebook and Twitter. 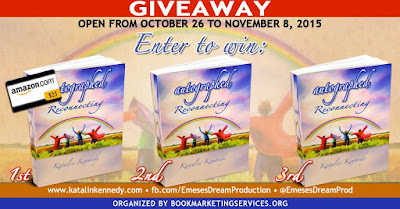 Katalin is running a tour-wide giveaway and you can enter by completing the rafflecopter HERE. 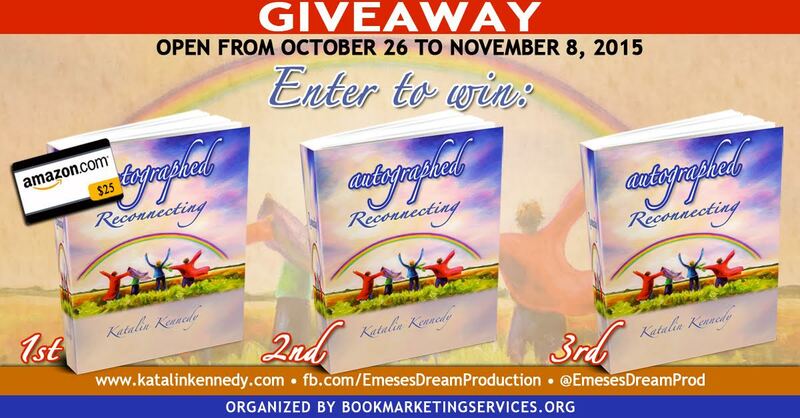 There will be one grand prize winner who wins a $25 Amazon gift card and autographed copy of Reconnecting, as well as 2nd and 3rd prize winners who will win an autographed copy of Reconnecting. Thank you so much, Katalin, for preparing the wonderful guest post for A Literary Vacation! On behalf of Katalin Kennedy and Book Marketing Services, I would like to thank you for hosting Katalin today on A Literary Vacation. If anyone has any questions and/or comments they would like to ask Katalin, she will be by later in the day to respond. 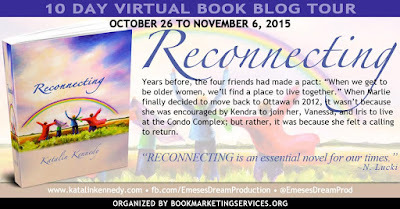 Please join Katalin today, Tuesday, November 4th for Team Author’s review of Reconnecting http://teamauthor.com/review-reconnecting-by-katalin-kennedy/ and tomorrow, Wednesday, November 4th for her guest post on Silver’s Reviews http://silversolara.blogspot.ca/.